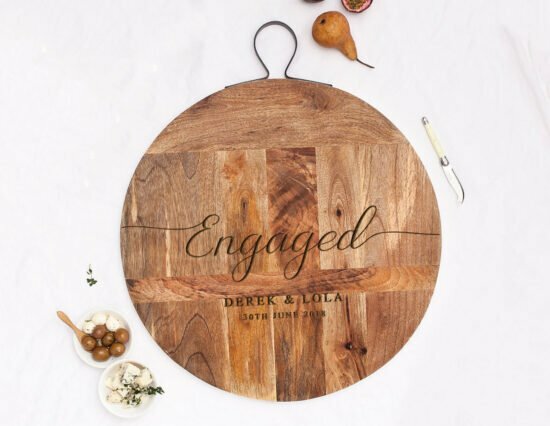 Celebrate their exciting new journey in their lives, with a Personalised Engaged Rustic Mango Wood Cheeseboard! 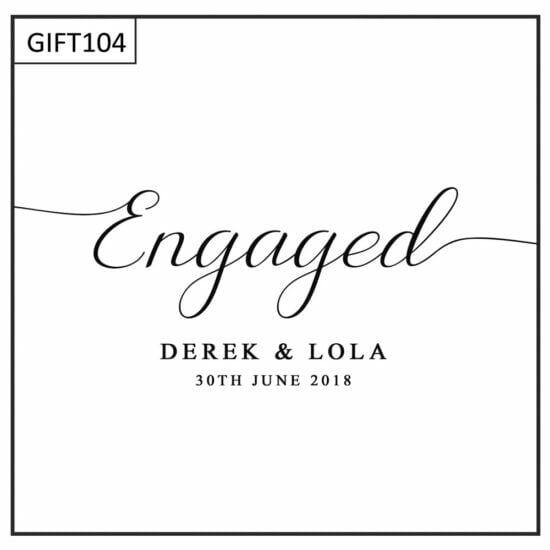 Engraved with ‘Engaged’ through the centre of the board, as well as their names and a date, it is a gift they will be sure to treasure for many years to come. 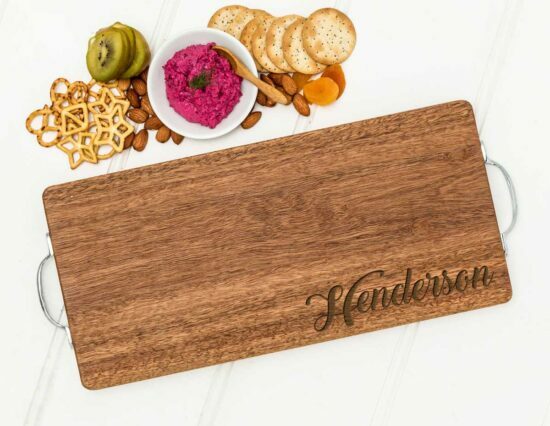 Simply use the personalisation fields located above to to personalise this board. Please provide the date as you’d like it written, i.e. 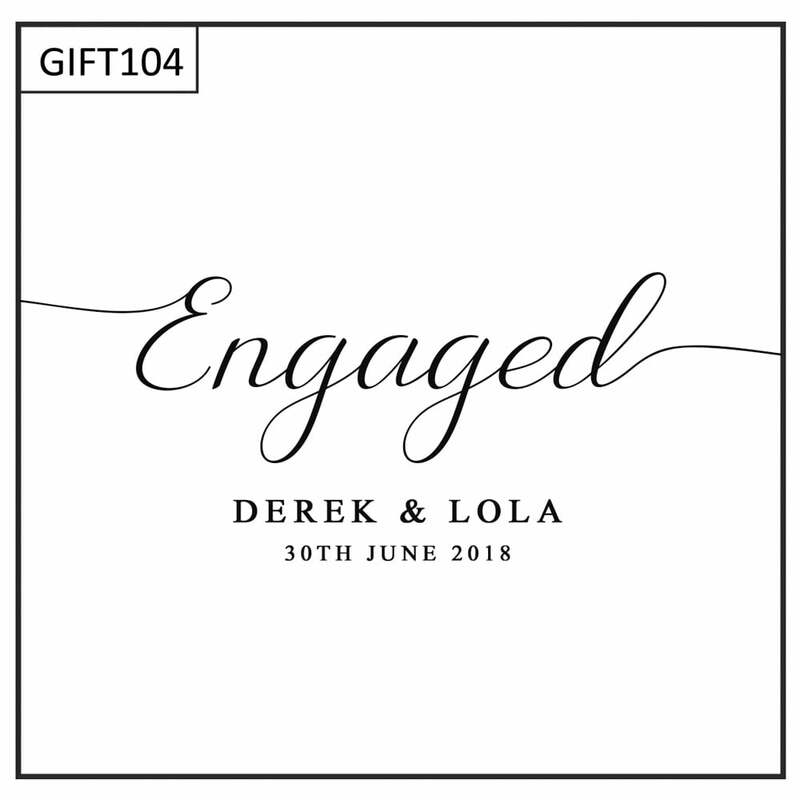 10th June 2018, 10.06.2018, etc. 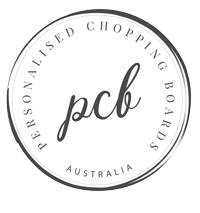 We are also happy to make design changes at no additional charge, simply contact us with any changes you might like.